Published twenty years ago, the original Preschool in Three Cultures was a landmark in the study of education: a profoundly enlightening exploration of the different ways preschoolers are taught in China, Japan, and the United States. 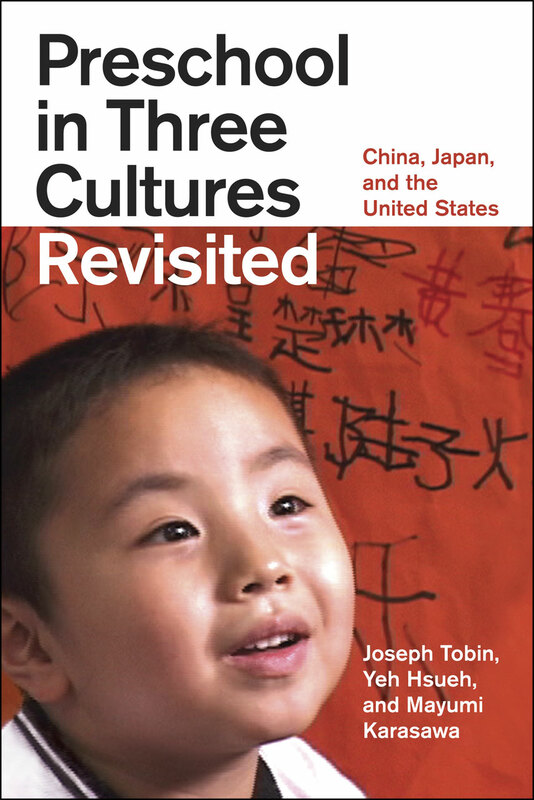 Here, lead author Joseph Tobin—along with new collaborators Yeh Hsueh and Mayumi Karasawa—revisits his original research to discover how two decades of globalization and sweeping social transformation have affected the way these three cultures educate and care for their youngest pupils. Putting their subjects’ responses into historical perspective, Tobin, Hsueh, and Karasawa analyze the pressures put on schools to evolve and to stay the same, discuss how the teachers adapt to these demands, and examine the patterns and processes of continuity and change in each country. Featuring nearly one hundred stills from the videotapes, Preschool in Three Cultures Revisited artfully and insightfully illustrates the surprising, illuminating, and at times entertaining experiences of four-year-olds—and their teachers—on both sides of the Pacific. "An enticing sequel to the 1985 book. . . . The undeniable strength of Preschool in Three Cultures Revisited is its complex, cross-cultural examination that avoids binary distinctions. By situating the United States between China and Japan across the spectrum of societal continuity and change, these authors further disrupt the dominant notions of an East-West dichotomy." "Thorough restudies such as this are often praised as a theoretical ideal, but this is one of the rare cases in which such an ideal has been realized. Tobin, Hsueh, and Karasawa deserve plaudits for once again breaking unusual ground. Like its predecessor, Preschool in Three Cultures Revisited is beautifully written in a pellucid style. . . . The book is extremely clear and accessible, without oversimplifying or stereotyping." "Are our schools in tune with children’s actual lives? The Tobin volume and video, as mirrors held up to American society, should open our eyes to such questions." "While the impact of the original study was far-reaching in the fields of early childhood education and educational anthropology, Tobin and his new team of scholars have managed to restructure their approach to increase the level of insight into the social and cultural forces driving change and continuity in preschool education in all three countries." "This is a book I strongly recommend. It is a rich text presenting a cross cultural, cross national, and cross time account of preschool education."